Price: $20 per person. Kids 14 and under are free. Save the date! 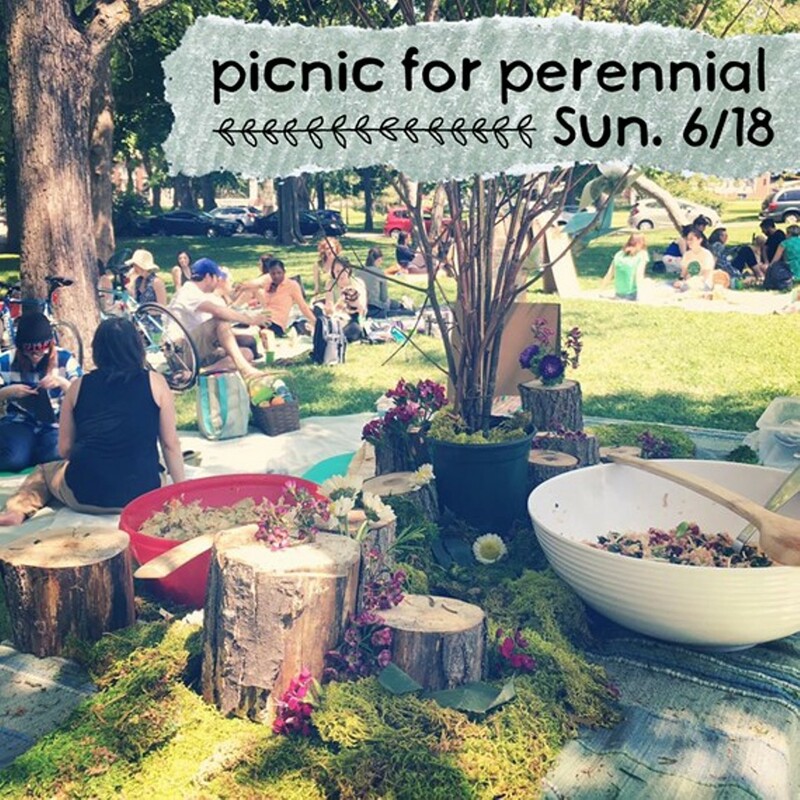 Perennial’s second annual ‘Picnic for Perennial’ will take place Sunday, June 18 from 12-3pm in Tower Grove Park! Grab your adventuresome friends and gather ‘round the picnic blanket for a green afternoon of sustainable fun. Enjoy yard games, upcycled crafts, mini classes/demos, yoga, and an eco-picnic competition! All proceeds benefit Perennial. Tickets available online at www.perennialstl.org.